Having full and long hair is great – only when this type of hair grows on your head. Other than that, unwanted hair in certain areas of the body is anything but attractive or appealing. So, it is only normal that women and men do almost everything possible just to get rid of these nasty unwanted hair. Although there are permanent ways to eliminate unwanted hair, these processes may be expensive and complicated. Moreover, you would want to just stay at the comfort of your own home and do something about your unwanted hair without professional help, particularly when you are in a rush. Perhaps, you are about to leave in a few hours for your night out with friends, a romantic dinner date with your significant other, or an important business meeting. If you have a quick way to lose unsightly hair on your legs and underarm, then it should never be so much of a hassle to you, right? Hair removal cream provides a safe, easy and fast way to remove unwanted hair on various parts of your body. All you need is to apply the cream onto your skin, wait for a few minutes, then use the tool found in the package to remove hair – it’s all that simple! Most importantly, there are products specially formulated for the type of skin you have, so that eliminates any risks of side effects. After learning more about the ingredients of hair removal products including how these work on your skin, it is now time to take a look at some of the top-rated creams in the market that are proven to remove unwanted hair. Check out these products and discover their key features and benefits as you read along. Gone are the days when all you need is to use hot wax or shave your legs just to keep it looking neat and smooth. Now, there is another option that is just as effective, yet more efficient and comfortable to do. Creams that are designed to remove unwanted hair are your best bet since these contain natural ingredients that aid in weakening hair that causes it to fall off easily while slowing down the process of hair regrowth. Thus, you no longer have to shave your legs every few days unlike before. This should save you so much of your time and effort in maintaining your neat appearance. Stop Grow is a type of hair removal product that is gel-based. It promote hair loss as the ingredients penetrate deep into the roots of your hair. With this in mind, regeneration of hair cells are slowed down, and it is not even as harsh to your skin as most depilatory creams. You can also use this product regardless of your hair color, texture and type of skin pigments. Men and women can trust this product intended to get rid of their unwanted hair in a few minutes – plus with no side effects. The magic all depends on the special ingredients and formulation of this product, which goes deep into the roots of your hair and acts by preventing the regrowth of new and healthy hair cells. With constant use, hair that grows back will have a lighter, finer and thinner quality. This minimizes the number of time you need to shave or wax your hair. Another concern about most hair removal techniques is the occurrence of in-grown hair and stubble. The best thing about a cream or gel, specifically Stop Grow, is that it does not result to this common issues with removing hair. No hair is left, which is the primary cause of the infection of skin follicle leading to in-grown hairs. And that is the main reason why we consider Stop Grow to be the best hair removal cream on the market. 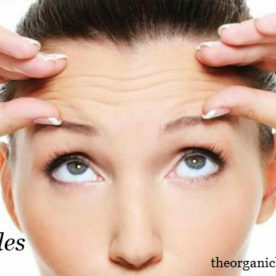 What you will only notice is the smooth, supple and healthy appearance and texture of your skin. Many people struggle with their unsightly hair on various parts of the body, which make them feel uncomfortable or unattractive. Although shaving may seem to be the quickest and cheapest way to remove hair, this technique often leads to stubble that make you look unattractive. Furthermore, hair grows back faster, so you end up shaving more frequently. Revitol spares you from the stress and discomfort of removing hair through its unique formulation and combination of ingredients. This product was developed by Revitol Natural Skin Care, a company that aims to provide safe and convenient hair removal techniques for men and women. Aside from eliminating hair, the cream also helps keep your skin smooth as it contains moisturizer. Hence, your skin becomes smoother, more supple and free from unsightly hair. All of these are made possible with antioxidant properties found in this permanent hair removal cream. The company was established in 1992, and it has earned its reputation as one of the leading brands of health and beauty products. Through Revitol’s commitment to conducting extensive research on the products they produce and market, they continue to gain people’s trust when it comes to quality and affordable hair removal products that are worthy of their investment. To use the product, you need to apply it on areas of your skin with unwanted body hair. Next, leave it on your skin for as much as 20 minutes before wiping the excess cream and rinsing it off completely. As you use the cream regularly, you will notice that hair becomes thinner and softer over time. 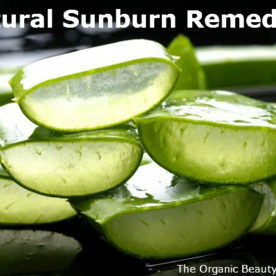 You can even use the cream on your face and bikini areas, which are sensitive areas of your body. However, it may be best if you conduct a patch test before you begin putting the cream on. This way, you can prevent any negative side effects in using the product. 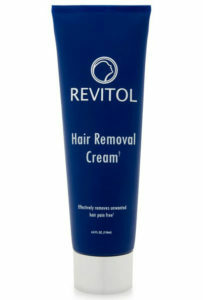 What’s great about Revitol cream is the fact that it only has natural ingredients, which do not harm your body. It also has plant extracts and herbs, and there are no methyl parabens that are usually linked with itching, rashes and other undesirable effects to your skin and overall health. In addition to these ingredients, Revitol has green tea extracts, aloe vera, vitamin A and E, and these all support the smoothening of your skin. Since the ingredients come in the right formulation, you can easily remove hair and even slow down the regrowth process. It is also worth noting that Revitol hair removal cream has mineral oil, and a few other components known to eliminate hair effectively and safely such as calcium hydroxide, petroleum, and cetyl alcohol. As these ingredients work together and create a reaction, your hair is removed easily, and there is no harm left on your skin. While it works quickly on those with thin hair, it may take a while before you achieve favorable results when you have thicker or coarser hair. However, just make it a point to continue applying it once your patch test has no poor effects on the skin, so you can slowly work your way towards having smoother body free of unwanted hair. Waxing, shaving and even plucking – you have probably tried all of these techniques, only to find yourself experiencing so much discomfort and pain along the way. Plus, once hair grows back, it may even be thicker than it used to be. There is also the unattractive occurrence of stubble, which is common with shaving or waxing hair. If you are tired of dealing with all the drama of removing hair and getting no favorable results afterwards, then you might as well try using a product designed to eliminate hair in an instant. This product by Ultra Hair Away has obtained great reviews from those who have used it, and they are all praises with its amazing effects in removing unwanted body hair. To make it even better, this product is odorless, which is a main thing with hair removal products. The fact that it does not come with any unpleasant smell is a significantly outstanding feature since other creams emit a strong odor that stays for several hours. Once you apply the cream on your skin, the ingredients work together in saturating the base of the hair follicle. This helps slow down the regrowth of hair. With constant application, your hair will no longer have the same thick and coarse quality. Instead, it will become finer, smoother, lighter and smaller – an astounding effect that you want in the best cream to remove hair. According to product users, this cream works in making it take longer for hair to grow back. 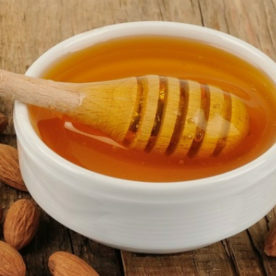 Some people who used to wax every 5 to 6 weeks only perform this technique every 4 to 6 months since they have started using this product. What’s more, the product is safe to use on various body parts including bikini lines, legs, face, back, abdomen, upper lip, arms and underarms. The secret behind this product is all in its ingredients. In fact, it is designed to duplicate the naturally-occurring secretions of your scalp, which cause a healthy hair follicle. Upon removing hair, the papilla’s sides become exposed to the treatment. 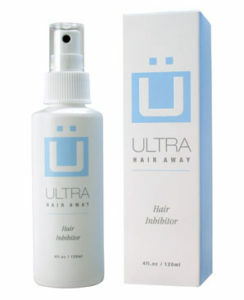 This makes it easier for hair to be removed, and regrowth becomes slower than it normally is. However, it is still advisable for you to consult your dermatologist before you start using this product. This is particularly true if you have very sensitive skin, since there are certain precautions that you need to apply before you simply go ahead and buy any product that may only jeopardize your skin and physical health. It is important that before you buy any product and apply it on your skin, you should be aware of what exactly is in the package. 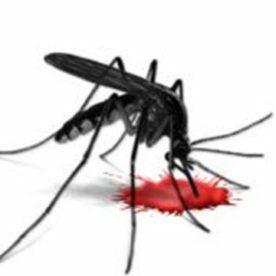 After all, you would not want to end up suffering from itching, rashes, redness or other bad effects of a skin care product not suitable to you. What you want is to get maximum benefits from the product you buy instead of regretting your decision of purchasing it. For instance, if you are thinking of using a hair removal product, be sure to know first what it contains, how it works, and potential side effects it may come with. Generally, depilatories come in cream form, although there are those that may be in the form of roll-on, lotion or gel. This type of product that removes hair contains alkaline chemicals reacting with body hair. These chemicals include strontium sulfide, calcium thioglycolate and sodium thioglycolate, to name a few. Once these components are applied on your skin, the formula immediately breaks down the bonds that are responsible for holding your hair structure together, which are also referred to as keratins. Upon dissolving the keratin, this causes the hair to weaken and fall off from the follicle. As a result, the hair turns almost into jelly, which makes it easier for you to wash it off your skin. Sodium hydroxide and calcium thioglycolate, which are key ingredients in these creams lead to chemical reaction that help remove hair quickly. However, it also emits an unpleasant and very strong smell, once these chemicals combine and react. Fortunately, there are creams that have additional ingredients, which work by masking the odor. Just keep in mind that fragrances included in these products may cause certain reactions to your skin. 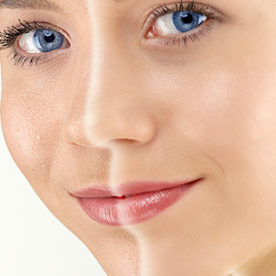 If you are not sure which product to buy, you should first determine your skin type. Those who have sensitive skin should consider consulting a dermatologist to obtain professional advice on the right cream to purchase in removing unwanted hair. You can also conduce a patch test by applying a minimal amount of the product on a small portion of your skin before you put on a large amount that may result in an undesirable reaction.